A federal judge has rejected President Trump's attempt to dismiss a lawsuit alleging he has violated the emoluments clause of the Constitution by doing business with foreign governments, the Washington Post reports. Why it matters: The emoluments clause was drafted to prevent foreign governments from gaining influence in the U.S. in exchange for gifts, payments or other benefits. 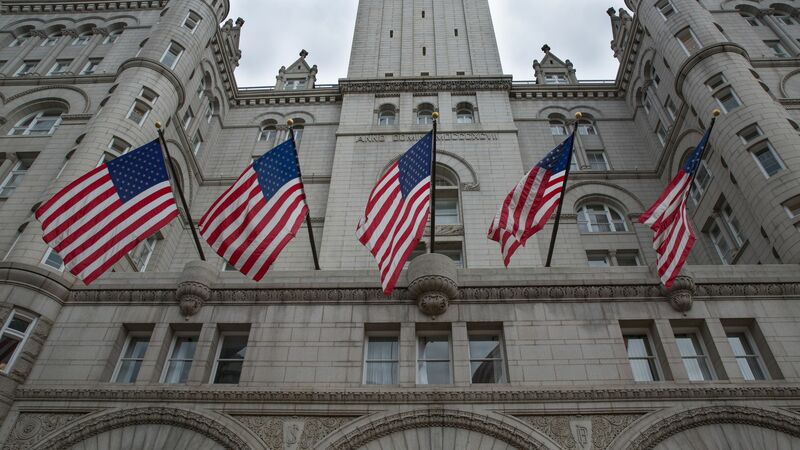 The Trump Organization has hosted foreign leaders at its Washington hotel, but argues they are paying for a service and thus not providing Trump with a gift. What's next: Per the Post, the parties that brought the suit, DC and Maryland attorneys general, hope to search company records and interview Trump Organization employees "to determine which foreign countries have spent money at Trump’s hotel in downtown Washington."